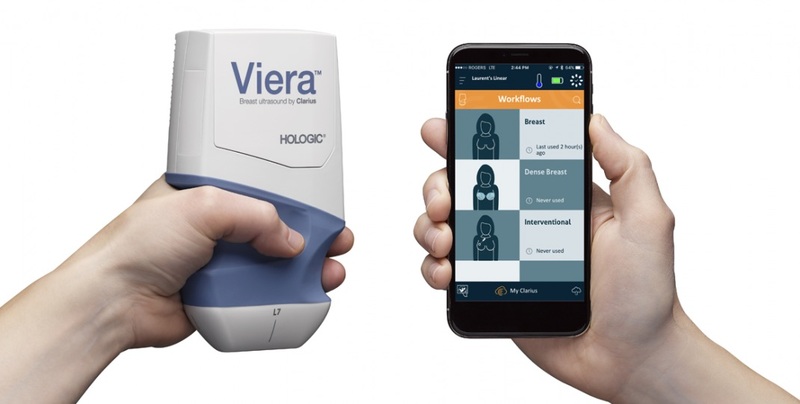 In the past week two companies – Hologic from the USA and Healcerion from South Korea – have announced FDA approval for their point-of-care ultrasound (POCUS) products. 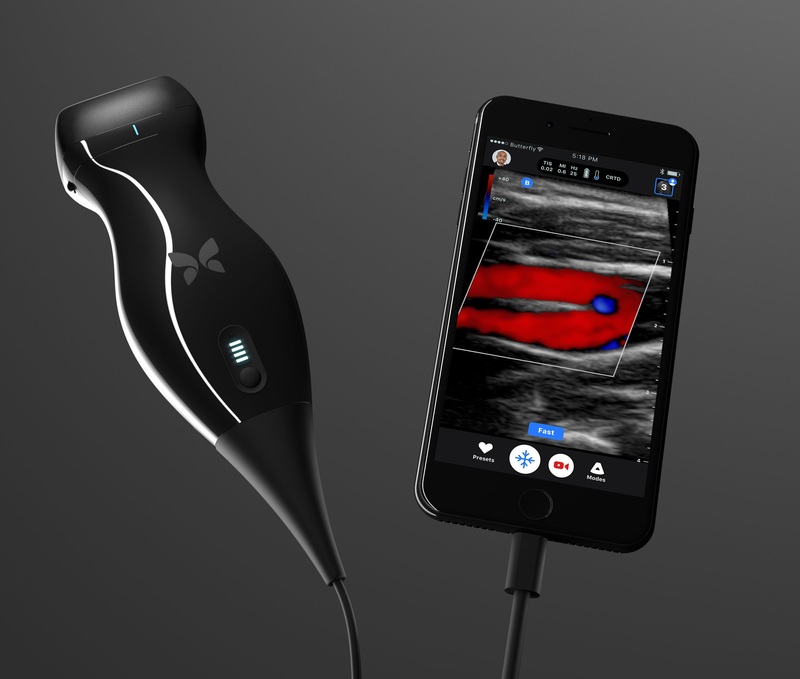 POCUS refers to the practice of medical professionals using a miniature ultrasound system to diagnose clinical problems wherever a patient is being treated, whether she’s located in a hospital, ambulance or remote clinic. 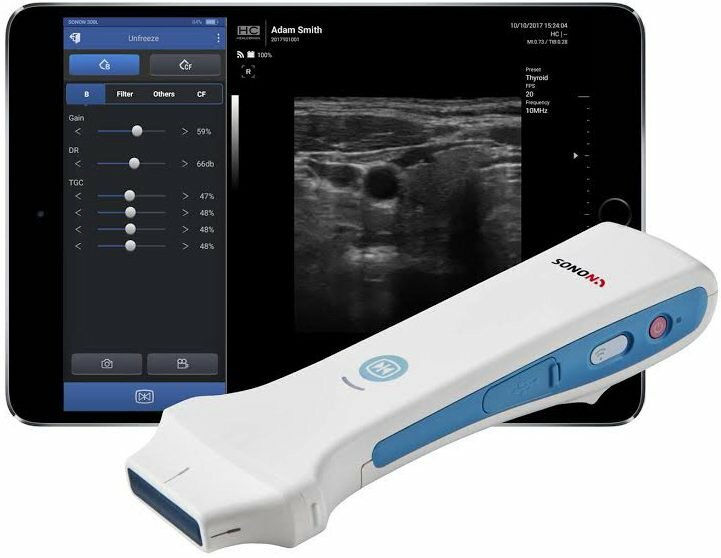 The earliest POCUS systems introduced were by SonoSite, now owned by FUJIFILM, Vscan by GE Healthcare and Lumify by Philips, but image quality was limited. Healcerion’s Sonon system (seen at left) is also wireless and utilises a mobile app that can be freely downloaded from Google Play or Apple’s App Store. The 300L linear model has a centre frequency of 5 to 10 MHz, depth penetration up to 10 cm, and can be used to image the thyroid, carotid vessels, lungs and breasts. At less than one-tenth the cost of a traditional ultrasound machine, Sonon has been designed to provide primary healthcare providers with a tool to diagnose medical problems wherever they are located. In December last year we described a breakthrough POCUS product called iQ (seen at right) that had been developed by The Butterfly Network. Although the iQ system is not wireless – there is a tether between probe and smartphone – it is nevertheless destined to become a disruptive technology. The ultrasound probe, which has been approved by the FDA for 13 different applications, is not based on piezo-electric crystals but on semiconductor chips, which means the system costs just $2,000. In addition, iQ takes advantage of the latest technology – artificial intelligence – to assist clinicians produce high quality images. Although POCUS devices are gathering momentum, they are still handheld and therefore dependent on the skill of the user, which probably means their application in breast cancer screening will be limited. However, it seems certain that the use of these devices will become widespread for breast biopsies. “though POCUS devices are gathering momentum, they are still handheld and therefore dependent on the skill of the user, which probably means their application in breast cancer screening will be limited. Please no “Hocus Pocus”, hit or miss please!